I believe so, in theory, will check if that is on the outside or not. The annual has gone to print. The annual has been posted out to U.K peeps and all early order people. Probably going to be a while until I get it over here in Ireland but Nostalgia Nerd has just published a video on it, which is getting me excited about it. Looks pretty good from afar anyway! 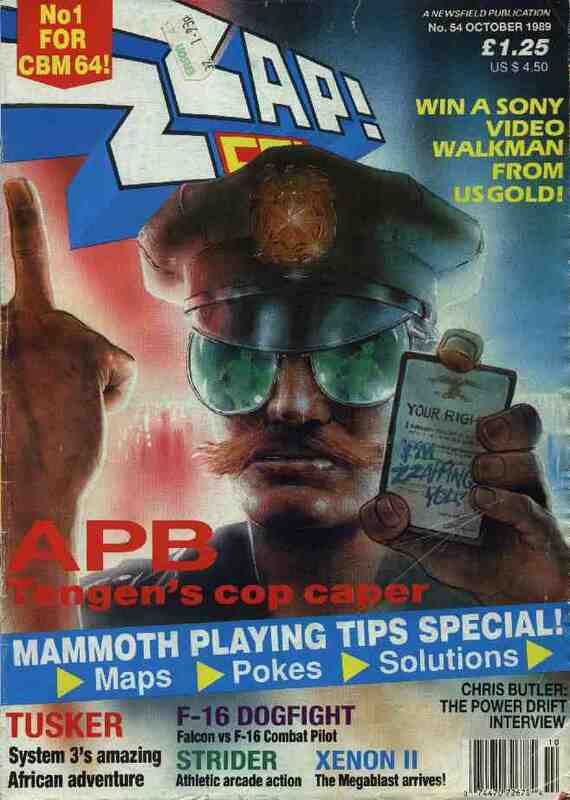 Always a buzz seeing my version of a Zzap!64 scan somewhere, with it's telltale "Eason" price sticker on it, i.e. the issue 54 shown near the beginning of the video. It's fantastic - looks like the ZZAP of old, features some familiar names and captures the spirit of the magazine. It really is excellent and true to the spirit of the original and of course a ZZAP wouldn't be a ZZAP without a few harsh reviews. My only minor niggle is there is only one expression on the reviewer heads. Yeah, sadly Oli only had time among everything that was needed, to be able to sketch one head per reviewer. Well I scanned those covers back in 1998 / 1999 maybe before Mort had done all his issues (IIRC) so hi-res they are not! Plenty of compression artefacts there as well. Must add that to my list of things to do with the site. i.e. replace those cover images with more modern versions! Oh right, sorry, was mis-reading there... I pointed the guy doing the video in the direction of Mort's hi-res scans, I guess he didn't use them then...! I pointed the guy doing the video in the direction of Mort's hi-res scans, I guess he didn't use them then...! Pains me to read the "The Zzap!64 name is (c) Future Publishing and the Annual is produced under licence" bit though. It was 64 views when I watched it there, nice number and my son noticed the 8 views as well. The 8-bit planets had aligned!